Each year in May we have our Open House event which is the first day of our primary exhibit of the year. In past years we have featured Weddings Old & New, The Quilts of Lac qui Parle County, and Imagination on the Prairie. This year our exhibit will feature the churches of our county, in photographs, items and stories. At this writing the exhibit is still being assembled. 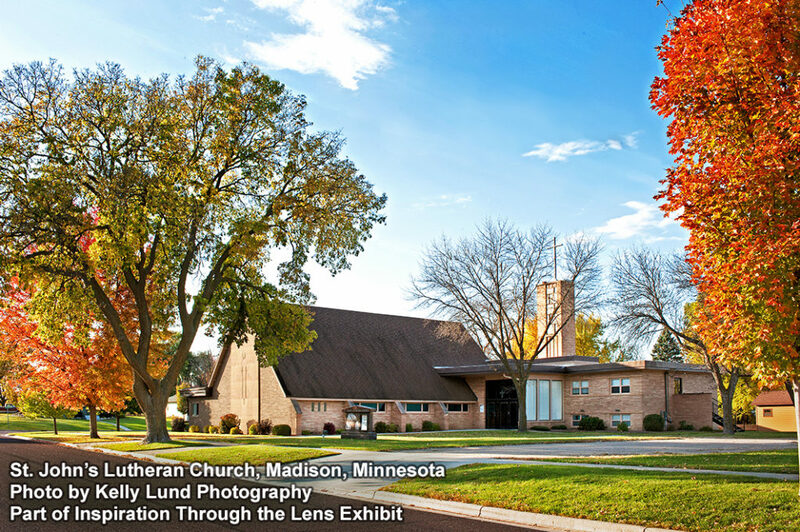 Local photographer Kelly Lund of Lund Photography has spent many months photographing local churches inside and out, and items from our collection relevant to the exhibit are being tagged for display. *Due to weather, our Pancake Brunch & Raffle Fundraiser has been changed to this date also. Come early for pancakes (10am to 1pm) and stay for the Open House! Does your church have items of historical interest that they would be willing to loan for this exhibit? Do you have written history, photos or stories that should be included? Please contact Curator Barb Redepenning at 320-598-7678 to discuss contributions to this exhibit. A grant from the Southwest Minnesota Arts Council covered the cost of hiring Kelly and and the cost of printing and framing up to 25 images, which includes the exterior photos. Kelly has many wonderful photos of the interiors and cemetaries as well, so we are having a fundraiser to cover the cost of printing and framing the additional photos. We have started a Go Fund Me page here. We would like to raise $1,500 to cover the cost of printing and framing the additional photos. Funds raised over that amount will go towards event promotion.